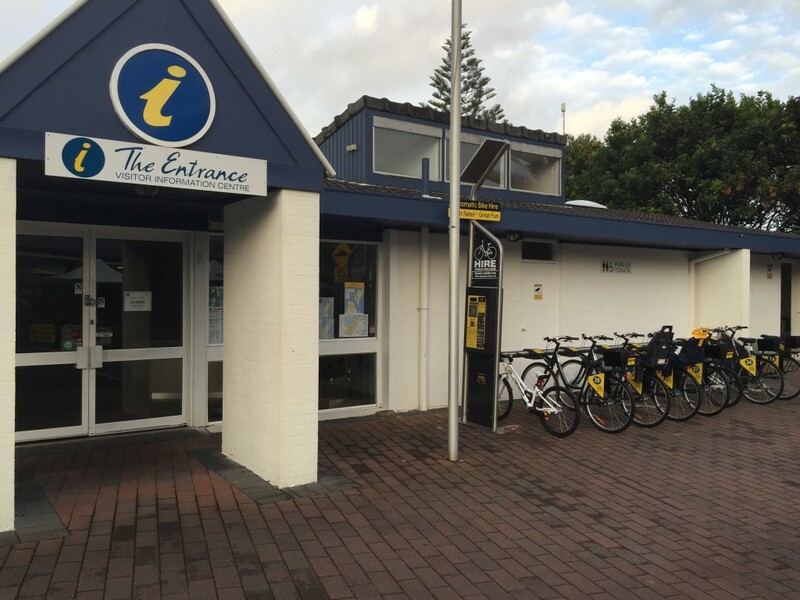 The latest Bike hire station is located at the front of the Visitor Information Centre in The heart of The Entrance . The station has 8 bikes for hire inc 6 unisex bikes (2 with child seats and 4 with Baskets) for riders over 145 cm. Plus 2 children bikes which have 3 gears and 24 inch wheels, suitable to riders over 110cm tall. Thanks Wyong Shire Council of the approval and enthusiasm to add a new Attraction to the entrance and the Central Coast. More bikes to be installed in 2016.